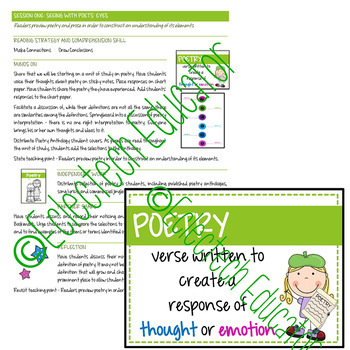 Want a complete poetry unit? Poetry is possible for young students because it is all around them. 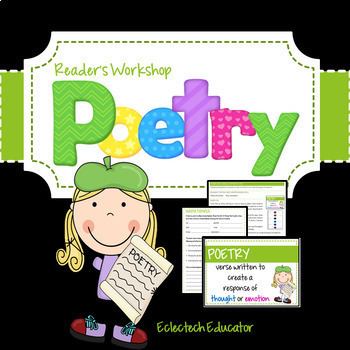 This bundle includes a complete reading unit, anchor charts, and student poetry reference sheets. 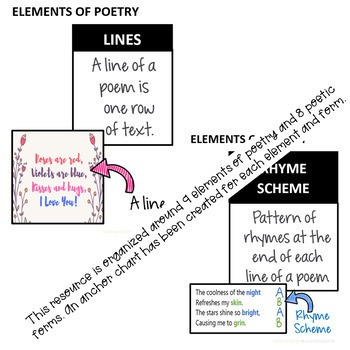 This bundle lets students experience the style and rhythm of language of poetry and how poets see the world in inspiring and unique ways. The complete reading unit includes 13 detailed lesson plans. Students will play with figurative language and attend to the precision of word choice to determine how a writer’s choices influence a reader’s interpretations. 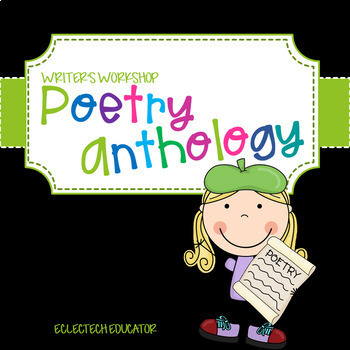 The anthology contains anchor charts and student references organized around 9 elements of poetry and 8 poetic forms. An anchor chart has been created for each element and form. The charts can be displayed for student reference or photocopied for students to use at the writing center.